Frankie's June/July issue features the usual dose of Frankie coolness with a nod to the Southern Hemisphere's winter. There's an article with two lovely ladies who run a Veggie Van, interiors made from trash turned treasure, a gorgeous story on inherited heirlooms, how to stay warm and more. My favourite piece in this issue was The Floral Project. Five overseas creatives photographed what's growing in their hometowns and then talked about the scenery they identify with. As always this issue is great to read when you've got a quiet moment to yourself, or even as a distraction on long train journeys. The illustrations on the calendar this month are worth the purchase also. 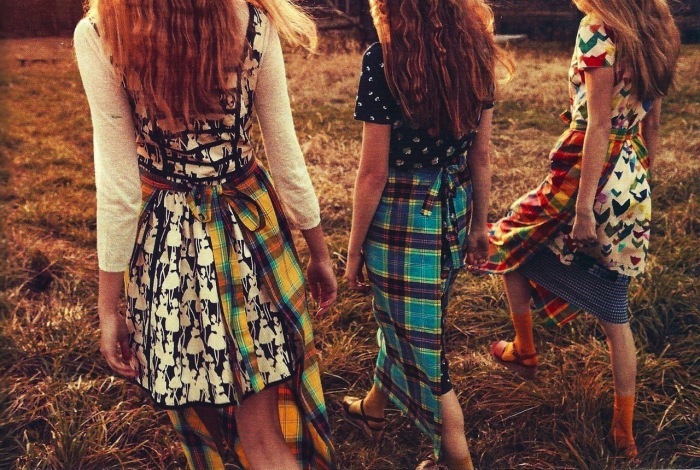 Lula #14 is my favourite issue after #11 which Rodarte guest edited. Tavi describes Lula as being crafted by fairies and that's exactly how I see it. Lula is released twice a year (no set dates are ever revealed) and that makes it an even rarer gem. Each issue is more like a book than a magazine. As the tagline says, Lula is quite simply 'the girl of my dreams'. #14 features some stunning editorials like Once Upon A Time (prairie meets fairytale) and I Will Wait For You There (mermaid meets couture). There's insightful interviews with Meadham Kirchoff's designers, Charlotte Dellal of Charlotte Olympia and the awe-inspiring Iris Apfel. There's also a beautiful article on the magic of fashion, dressing up and sets which transport us to extraordinary places. My only fault with this magazine is that it isn't released more often! If you want a magazine that is beautiful to read and look through then this is for you. From 'I Will Wait For You There'. 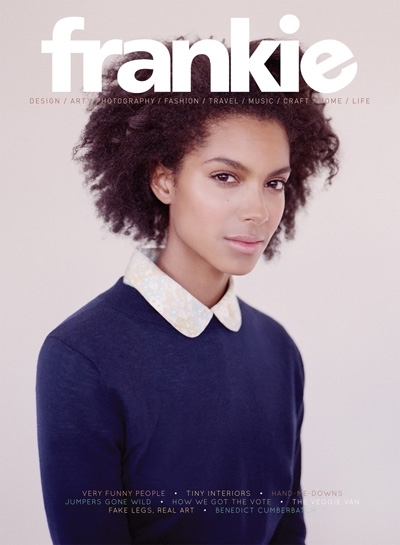 -For a list of Frankie's stockists, click here. -Lula can be purchased in Magnation stores throughout New Zealand and Australia or online at Magnation's store. 1 & 2) Frankie + Lula covers from Google. 3) Once Upon A Time from Clothia. 4) I Will Wait For You There from Owl vs Dove.